Please complete the form below and your enquiry will be sent directly to Hermanus First Fridays Artwalk via email. Your enquiry has been sent to Hermanus First Fridays Artwalk. On the first Friday of every month, eighteen art galleries in the centre of Hermanus host the Hermanus First Fridays Art Walk. The event commences at 5 pm when Hermanus residents and visitors stroll through the quaint town centre, visiting the galleries to admire the spectacular range of paintings, drawings, sculptures and ceramics on display. The participating galleries exhibit artworks from locally based artists as well as those from further afield; many of the galleries are also the home studios of local artists. During the evening, the galleries serve wine and snacks as gallery owners and artists take time to engage with visitors. 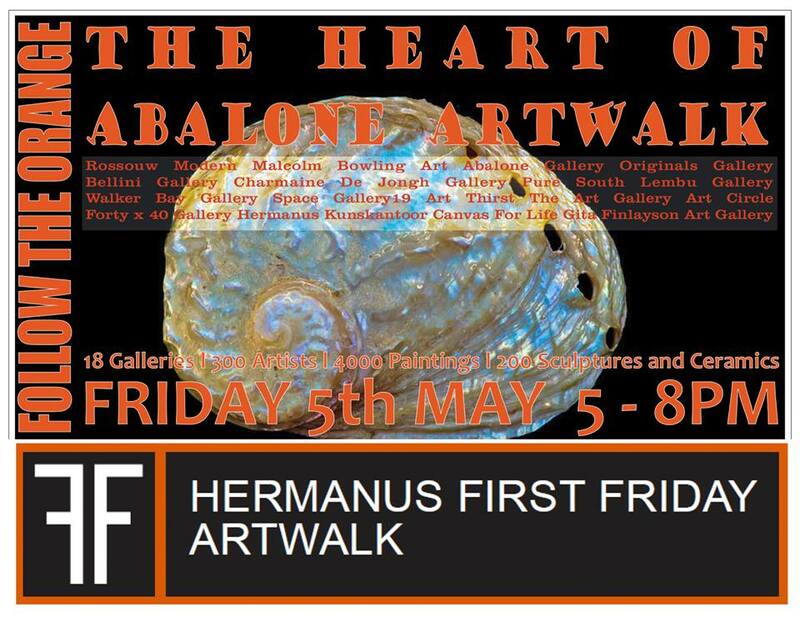 Click on "More Info" below to find out more about Hermanus First Fridays Artwalk. 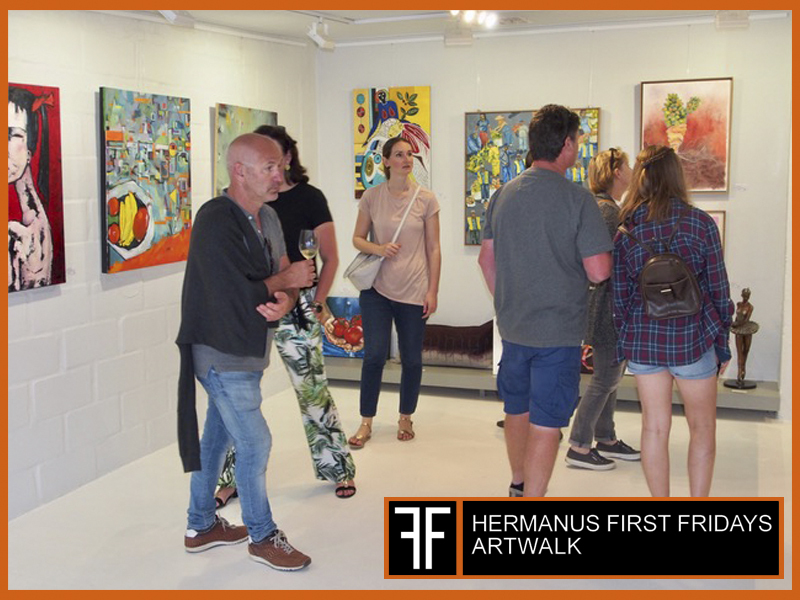 The Hermanus First Fridays Art Walk takes place on the first Friday of every month except the winter months of June, July and August. It starts at 5 pm and ends at 8 pm and takes place in the centre of Hermanus – all eighteen galleries being within easy walking distance of one another. Maps are available at any of the participating galleries. The event has been taking place for many years and has now become an important occasion on the town’s social calendar.